Chaz Hammonds is from Houston, Texas. He is the Owner of Soulfitgrill, an all-natural spice low sodium spice company that he created out of love and concern for his grandmother with diabetes. He received his Bachelors of Science in Economics from Texas A&M University and studied Energy Economics at the Southwest University of Finance and Economics in Chengdu, China. Chaz is currently pursuing an environmental law degree, with aspirations to be the U.S Secretary of Agriculture. 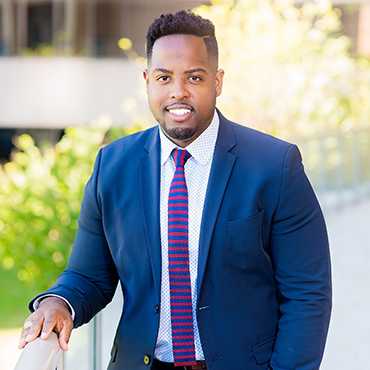 Chaz is also a Co- Founder of TWEF a non-profit, which prides itself on reaching over 100,000 lives through it’s free classes in financial literacy, health and nutrition for the community. When he is not in the classroom or making new spices, Chaz is working in the TWEF Organic Urban Garden, which sits on six acres and is used to teach kids the importance of nutrition and supply families living in a food desert.